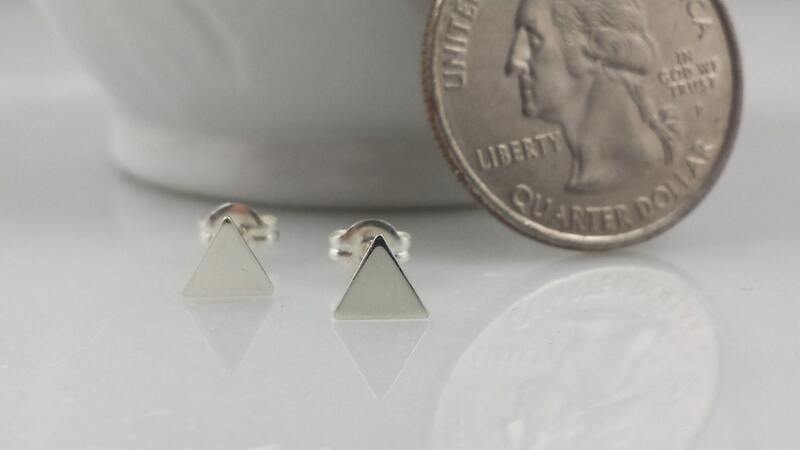 These tiny, modern triangle earrings are a fun way to add a little modern flare to any outfit. 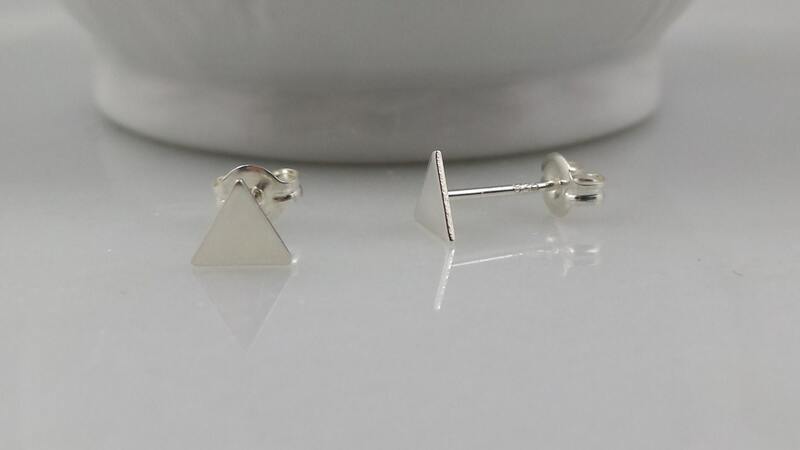 Earrings are about 5mm in length. 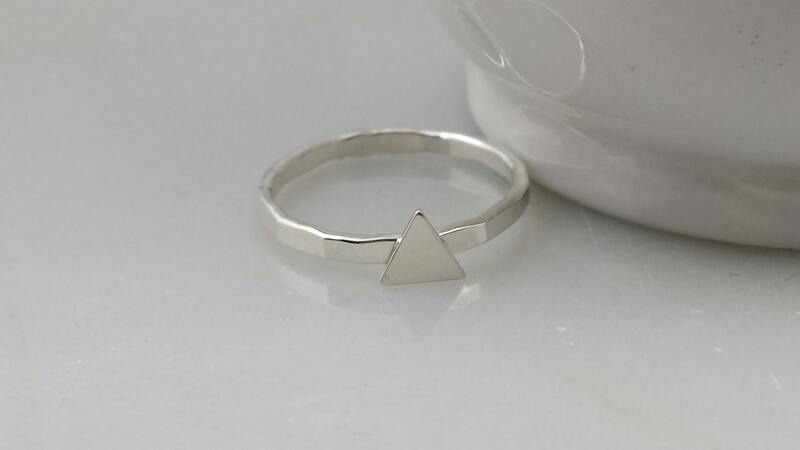 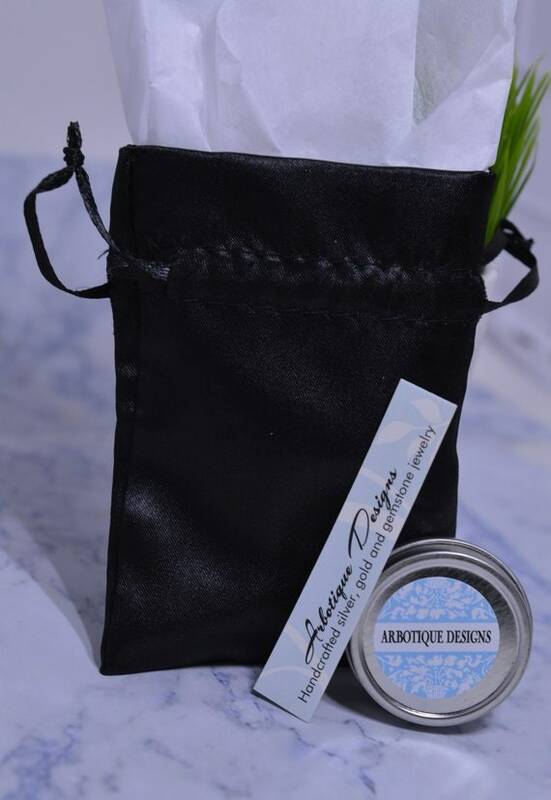 They look great with my sterling silver triangle ring show in the last picture.